Power without compromise. The Hollis F1 “BAT” fin blends graceful movement, power, and bulletproof construction. Meet the new standard in diving. 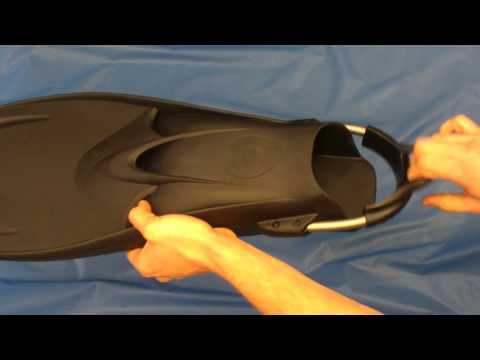 The Hollis F1 Open Heel “Bat” Fins use Classic Vented Fin Construction with New Age Technologies. 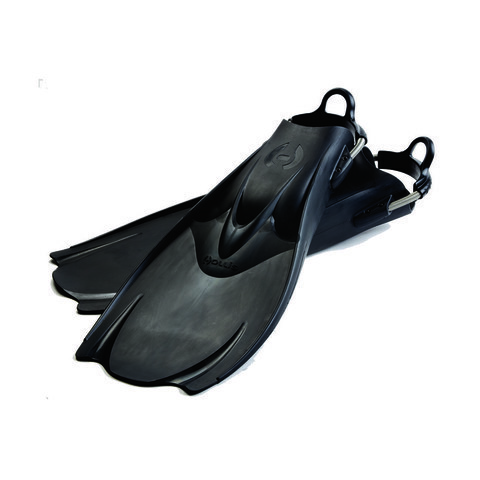 Fins are equipped with Spring Heel fin straps with Easy-Grip heel tabs and generous foot pockets for fast donning and doffing. The Spring Straps have multiple strap mounting positions for a fine tuned fit. The strap mounts are also Angled-for-Comfort and a better Transition-of-Power. 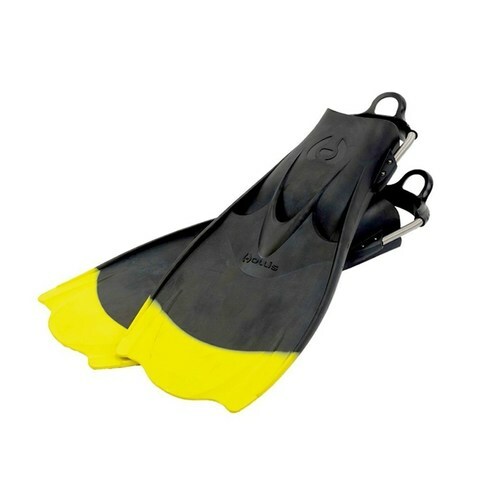 Like the Original Vented Fins, the Hollis F1 “Bat” Fins are constructed from High-Grade, Heavy-Duty Rubber for exceptional strength and durability. The Vented Blade Design with unique channel on the blade tips reduce stress while accelerating water over the blade and focusing the flow of water for added power. The Hollis F1 “BAT” fin blends graceful movement, power, and bulletproof construction. 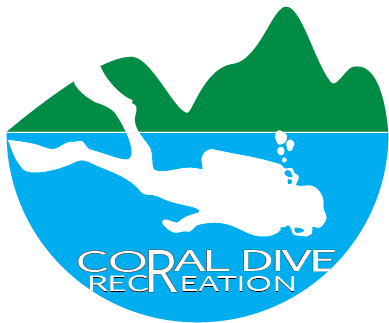 Meet the new standard in diving.